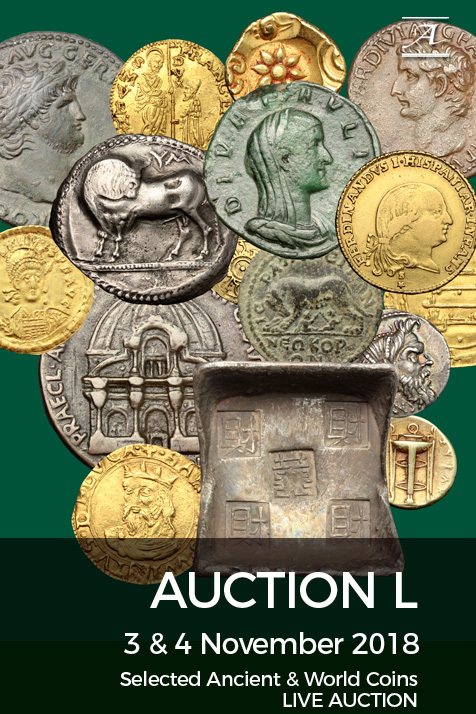 Coins 53 Greek Italy. Bruttium, The Brettii. 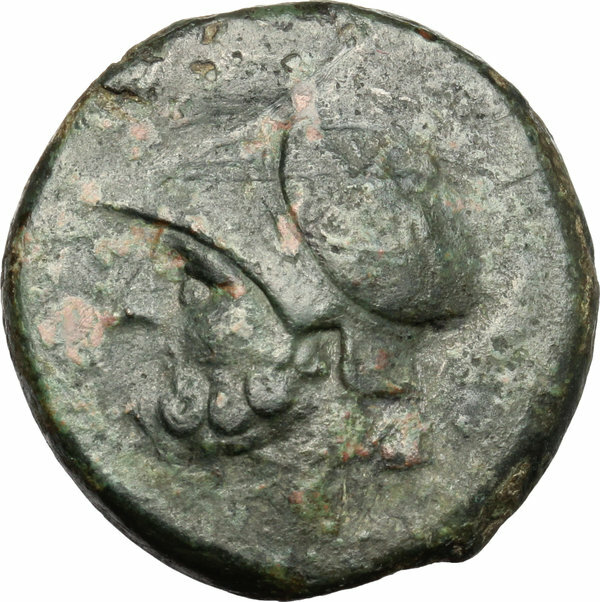 AE Double (Didrachm), c. 214-211 BC. Fourth coinage. D/ Helmeted head of Ares left; grain ear below. R/ ΒΡΕΤΤΙΩΝ. 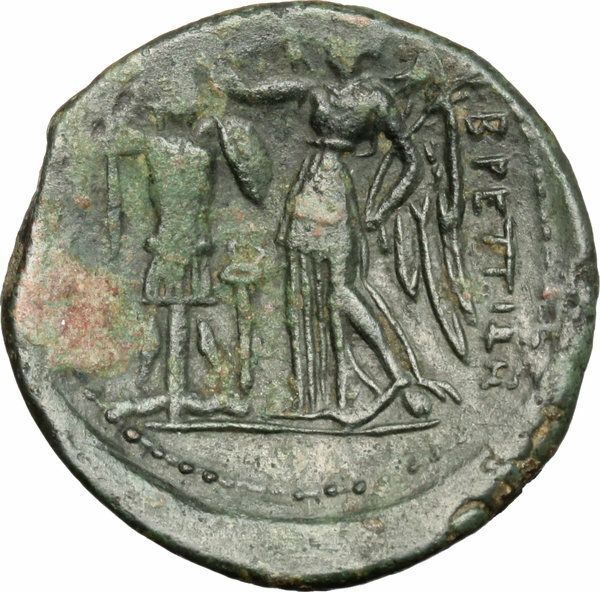 Nike standing left, holding palm, crowning trophy to left with wreath; kerykeion between. HN Italy 1975. Scheu, Bronze 6. AE. g. 15.10 mm. 26.00 Dark green patina with red spots. Good VF.